This is just too cool. 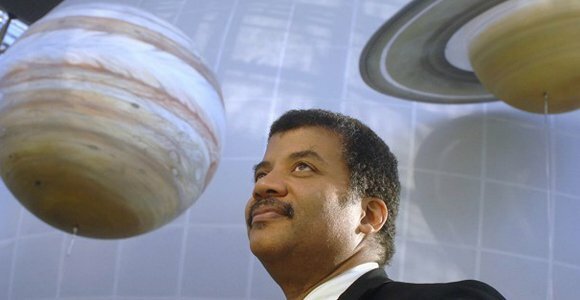 Astrophysicist and public science proponent Neil deGrasse Tyson was asked by DC to find exactly where Superman's home planet of Krypton is in real life. Appearing in Action Comics #14, Tyson talks to Superman about the whereabouts of Krypton, which automatically makes him one of the coolest scientists ever. “This is a major milestone in the Superman mythos that gives our Super Hero a place in the universe,” said DC Entertainment co-publisher, Dan DiDio. “Having Neil deGrasse Tyson in the book was one thing, but by applying real world science to this story he has forever changed Superman’s place in history. Now fans will be able to look up at the night’s sky and say – ‘that’s where Superman was born’." LHS 2520 is cooler than the Sun, with a red and highly turbulent surface, lying 27.1 light years from Earth. It's here that Tyson thinks Krypton would orbit.